The UK’s withdrawal from the European Union has been a difficult process to navigate from the start. With time running out to secure a Brexit deal, the British immigration minister, Caroline Nokes, caused confusion in early November, when she appeared not to know the UK government’s plans for EU citizens in the event of a no-deal Brexit. Nokes was asked by Yvette Cooper, chair of the home affairs select committee, how employers were to distinguish between EU citizens who had just arrived, and EU citizens who had been in the UK for years in the event of a no-deal. Nokes replied that there was an expectation on employers to carry out right-to-work checks rigorously. Yet, this would allow employers to determine who was an EU citizen, and also therefore discriminate against them more easily. Nokes’s answer directly contradicted statements issued by the Home Office to EU citizens’ rights campaign groups, which guaranteed that such checks would not be necessary. The confusion caused panic among EU citizens living in the UK. Sajid Javid, the home secretary, had to quickly issue a statement reassuring EU citizens that what Nokes said was, in fact, wrong. Instead, there would be a “transition period” before the right-to-work checks were required. Yet it’s not clear whether this is the same transition period, due to end in December 2020, that the EU and UK set out as part of the Brexit negotiations. So what do we really know about what a no-deal Brexit would mean for EU citizens? In March 2018, the EU and UK jointly published a draft withdrawal agreement. The section on citizens’ rights, which was entirely agreed by both sides, suggested that a number of residency rights for EU citizens and their families, whether EU citizens or not, would be protected and continue in the same way as they currently exist under EU law. This reciprocally covers EU citizens living in the UK and British citizens in the EU. However, a joint report on the progress of negotiations published in December 2017 had included a key caveat: “Nothing is agreed until everything is agreed”. This means that if no deal is reached between the EU and UK, the draft withdrawal agreement would not apply and anything previously agreed in it would not be binding. In this case, both EU citizens in the UK and British citizens in the EU would be left in a precarious position. In fact, a draft law currently going through the French parliament would potentially allow visas to be imposed on British citizens visiting France if the UK exits without a deal. In July 2018, the Home Office published its guidance on a new EU citizen settlement scheme, which all EU citizens in the UK will need to apply for to secure their right to stay in the UK after Brexit. It was advertised as a straightforward online process with three “simple” steps that applicants must satisfy in order to qualify. In September 2018, the pilot scheme was rolled out and an initial report on the first stage of testing declared it a success. However, this was contradicted by the fact that the Home Office itself admitted that the app created to manage the settlement applications will not work on Apple phones. The system doesn’t rely on there being a deal reached, so it is possible that in the event of a no-deal, the UK government may still decide to continue with it. Still, there are outstanding issues with the EU settlement scheme, separate from those posed by a no-deal scenario, and some have expressed concern that it will be difficult for vulnerable EU citizens to apply. In September, the Prime Minister Theresa May guaranteed that the rights of EU citizens in the UK will be protected in the event of a no-deal scenario. But will the EU settlement scheme be abandoned in such a scenario? If so, then those who are not able to claim permanent residency by living in the UK for five years consecutively before March 29, 2019 could potentially find themselves at risk of deportation. This raises a whole host of human rights issues, mostly related to interferences to private and family life. The biggest remaining question is when exactly free movement of EU citizens to the UK will end if no specific Brexit deal is reached. 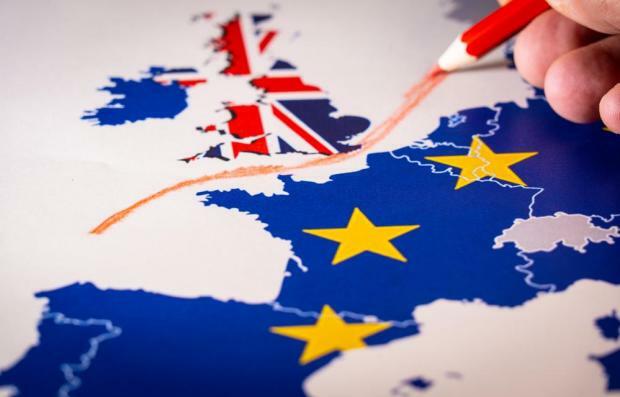 Under the terms of the transition period agreed with the EU, it would end after December 2020, meaning any EU citizen arriving to live in the UK until then would be guaranteed the right to stay. But when asked in parliament on November 5 what would happen in the event of a no-deal the government was unable to answer whether free movement would immediately cease on March 30, 2019. Though this important question has been asked many times since no-deal became more likely, the closer March 29, 2019 draws, the more urgently an answer is needed. Deal or no-deal, the UK government needs to clarify its position on EU citizens’ rights after Brexit as mistakes like those made by Nokes do nothing to reassure those affected, who need to make decisions about their futures.